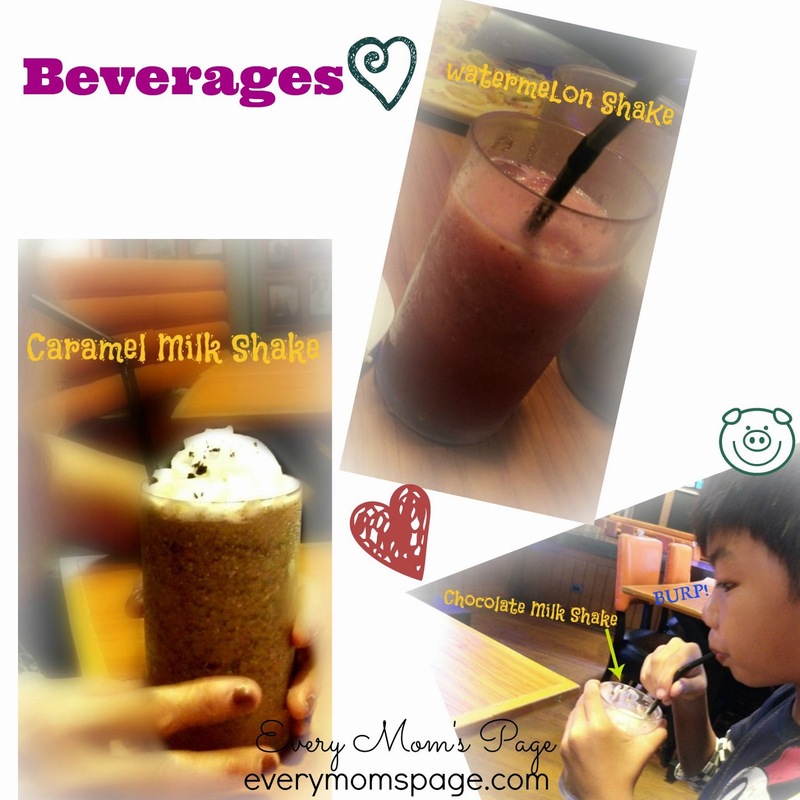 Me and my kids hardly get a chance to go out with my everdearest mom. She was away for few weeks and were all glad that she's back home. 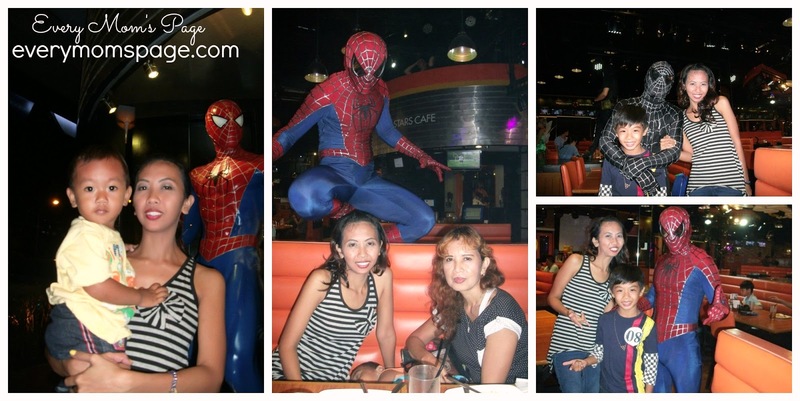 When I was invited to dine-in at Movie Stars Cafe, I thought this could be a perfect chance to bond with her so I grabbed the chance and took the kids with us. 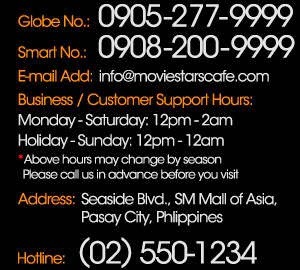 Movie Stars Cafe is located along Sea Side Blvd. 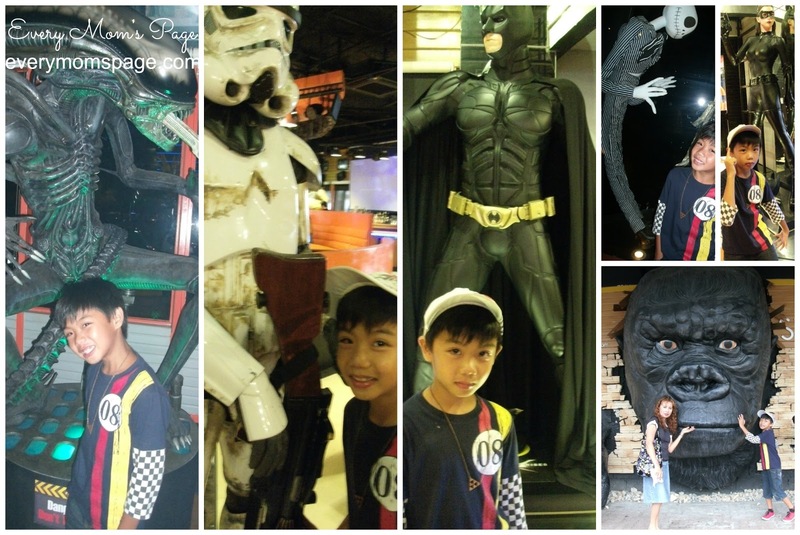 in Mall of Asia. 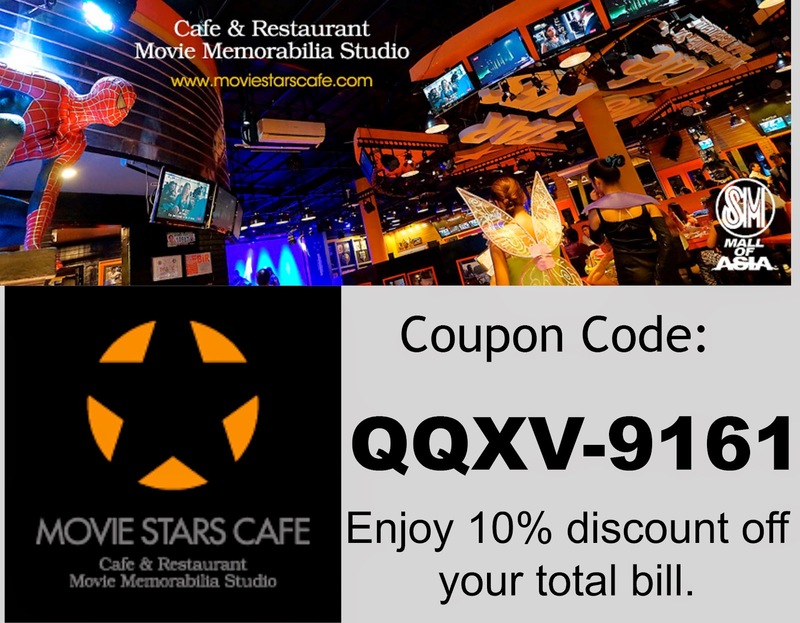 It is a movie-themed restaurant perfect for the whole family. 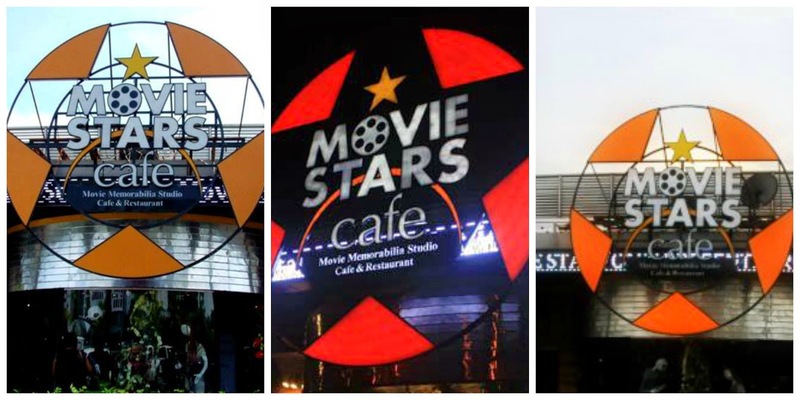 Outside the cafe are some very acquainted film figures which are sure to entice visitors to come in because they have more eye-catching attractions within. And the moment you enter the restaurant, even the most downer and wimpy person will be enthused by the Hollywood ambiance. We were informed that the show will start at 6pm and we are an hour early. But that's okay and waiting is never a bummer since we are entertained by the film on the big screen on the stage. I also took pictures of the movie characters they have on almost every corner of the restaurant, as well as the random Hollywood celebrities photos and movie posters. There are a total of 100 monitors inside the resto. 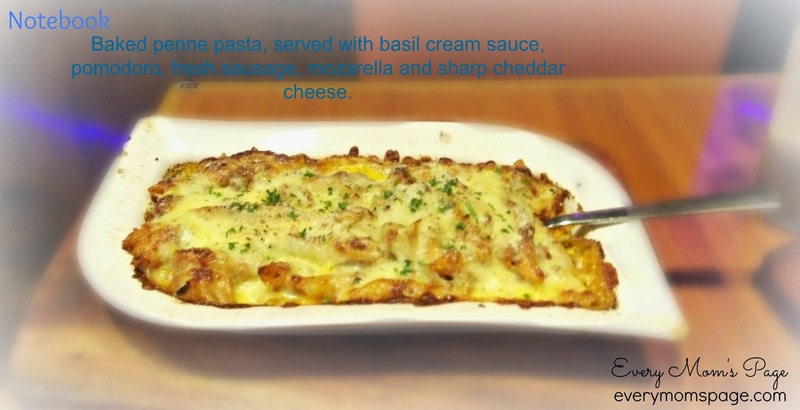 They serve special meal inspired by your favorite movies. You can choose whether to go Ala Carte or Buffet. 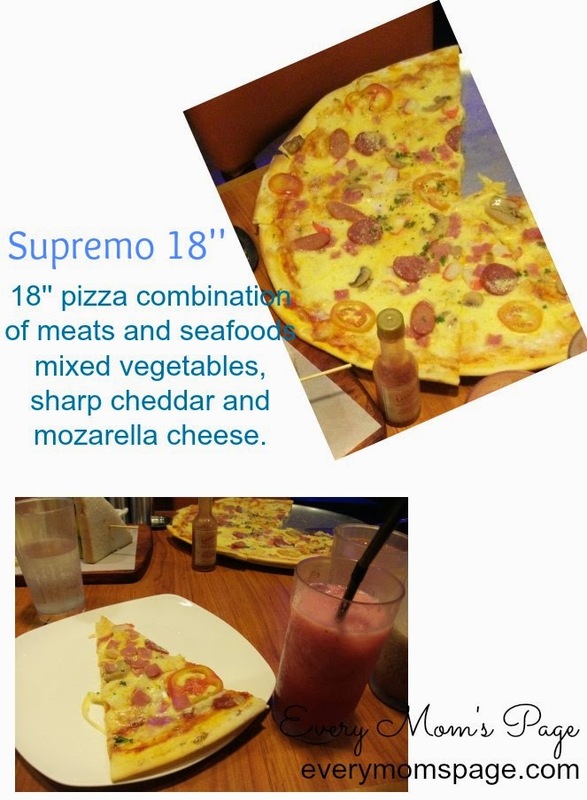 My son loves pizza so I ordered the big 18'' Supremo. It's not bad for the price since we really enjoyed the pizza. I find the beverages quite pricey. We were not able to finish all the foods we ordered so we had takeouts. All the characters play amazing performances on every shows. Different musical and movie show productions are lined up every 30 minutes which starts at 6PM til 12MN. 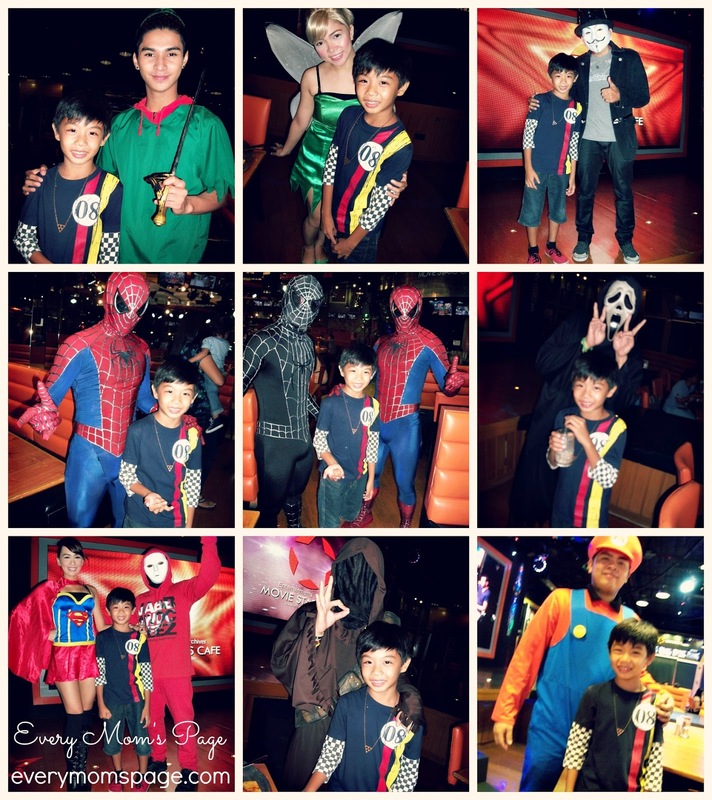 My son was amused by Spiderman's show. We felt like we were at the Broadway. The sound effects, costumes and acting were all superb. Unfortunately, we were not able to finish all the shows because it was getting late. 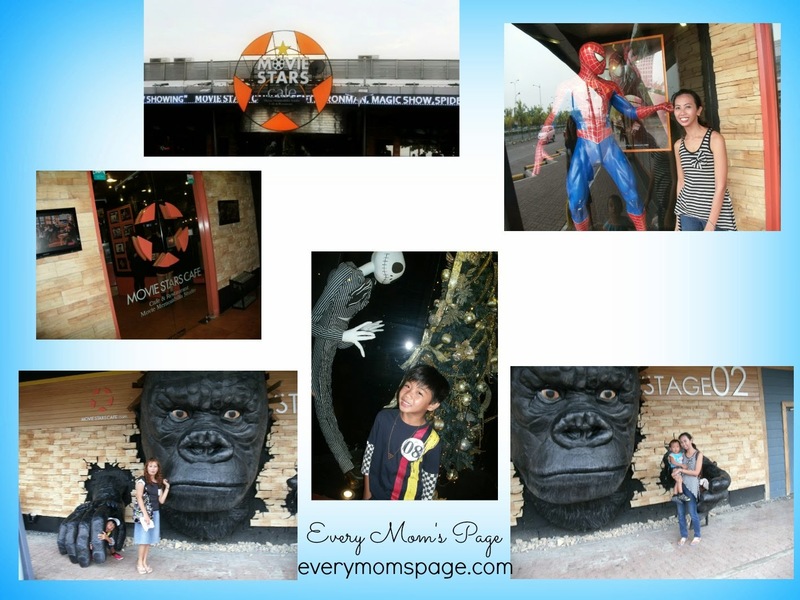 It was great that I was able to meet fellow mommy bloggers there, too. 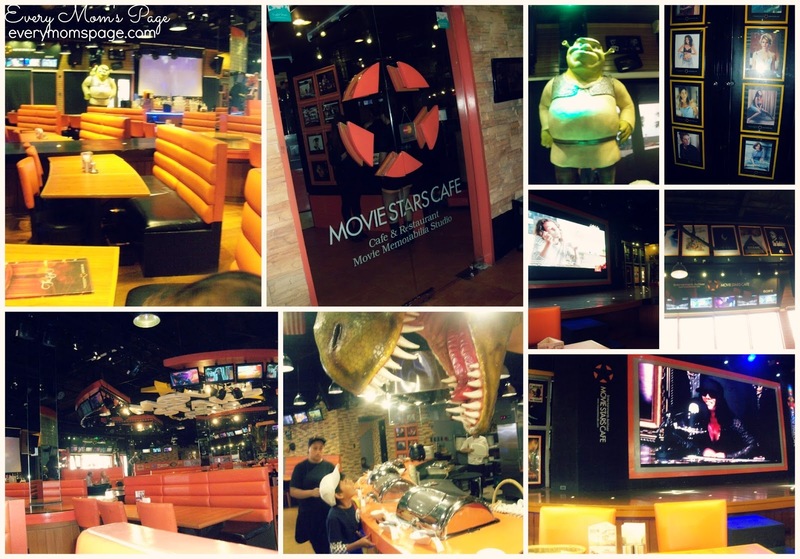 We really appreciate their warm hospitality and we really enjoyed dining at Movie Stars Cafe. 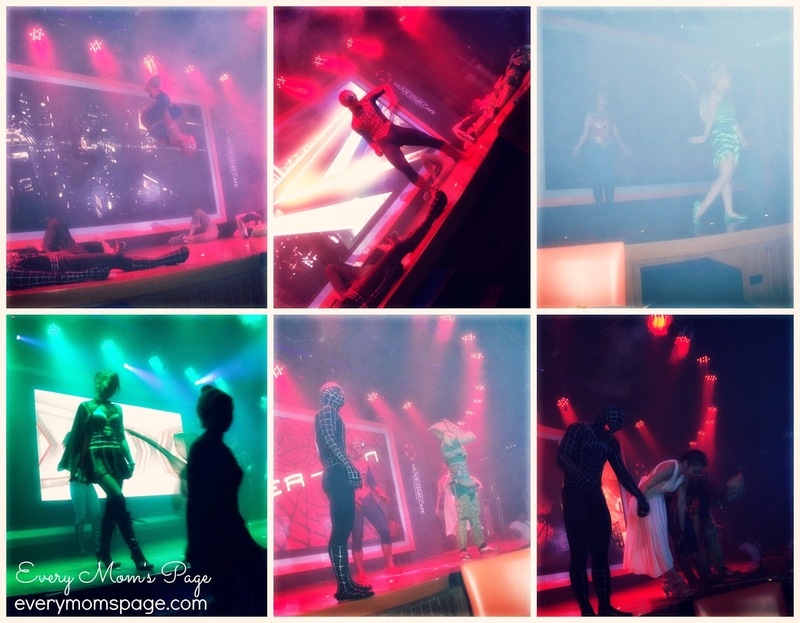 If you are looking for a family friendly restaurant where you can get to have good foods, perfect ambiance, great photo opportunities and experience pure entertainment, this is indeed a perfect place to be. 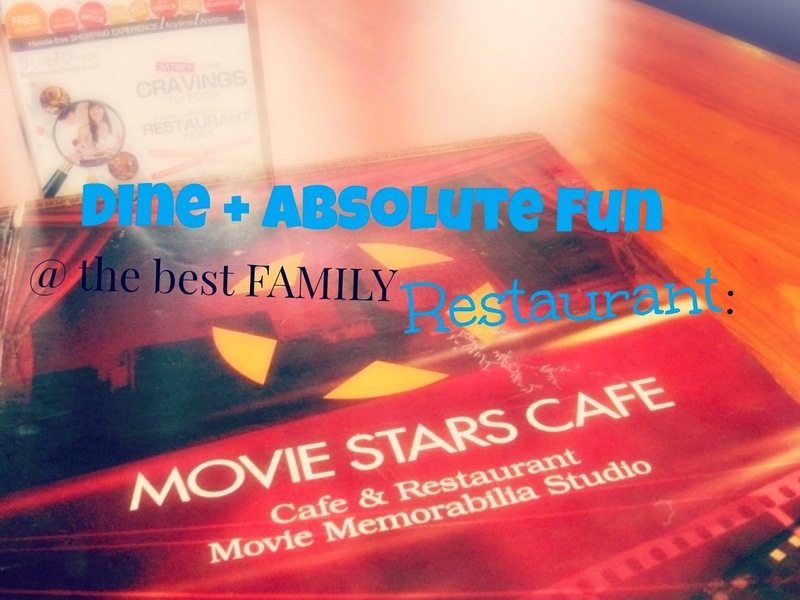 Movie Star Cafe is perfect for family bonding. Ohh! If I just could travel and be there in a snap. The food are so inviting. I'm starving after seeing those food. my kids would definitely will love the place. never been there yet. 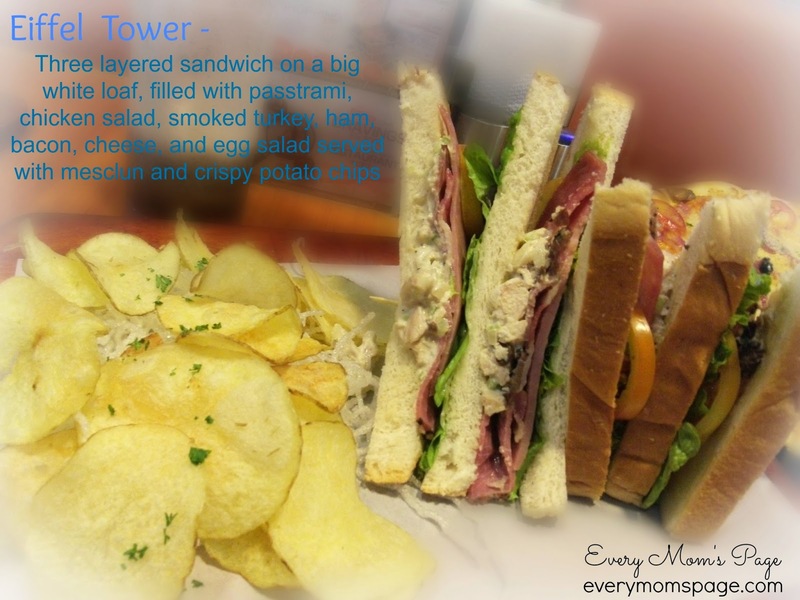 it looks like an awesome place to bond with family and friends!